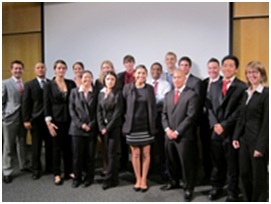 The Lavin Entrepreneurship Center in conjunction with the Management Department in the College of Business Administration at San Diego State University (SDSU) has recently announced the launch of the Minor in Entrepreneurship program for all undergraduate students across the campus. Now, students with any major can choose the minor and get access to the entrepreneurial key principles and essential disciplines that will help them in future entrepreneurial endeavors. The program will be available to students of all majors starting in Fall 2013. The Lavin Entrepreneurship Center in collaboration with the SDSU Residential Learning Community (RLC) is actively encouraging freshmen to get an early start on their entrepreneurial path. Over the years, the RLC has been helping students with common college majors and interests to live, study and take classes together. Bernhard Schroeder, the Lavin Center Director of Programs, crafted the Journey into Entrepreneurship Program, aimed to unite freshmen entrepreneurs at SDSU. The program has two branches, one of which is led by Alex DeNoble, the Executive Director of the Lavin Entrepreneurship Center, and Michael Cunningham, Dean of College of Business, teaching students the fundamentals of innovation and creativity in entrepreneurship. The second branch of the Journey into Entrepreneurship Program is guided by Bernhard Schroeder, offering leadership principles along with the introduction into what it takes to be an entrepreneur. The Lavin VentureStart Competition is an on-campus business plan competition that is designed to encourage and identify outstanding student business ideas from all seven colleges at SDSU. 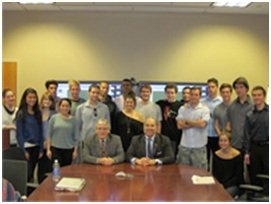 It is supported by Mr. Leonard H. Lavin, Founder and Chairman Emeritus of the Alberto-Culver Company. Over the years, Mr. Lavin has been the voice of inspiration to all aspiring entrepreneurs. In the past month, the Center featured five finalist business plans in diverse industries ranging from the hi-technology field to beverages. The judging panel included Yukon Palmer, the founder and CEO of FieldLogix; the Lavin Center's board members Doug Wall, the CEO and Chairman of PureForge and Peter Shaw, the Managing Director of Shaw Management Advisors, Int'l LLC. 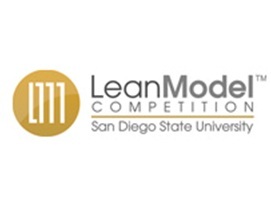 This year, students from California and Baja California universities will compete in the LeanModel Competition, hosted by the Lavin Entrepreneurship Center at SDSU. The LeanModel competition is a two-day start-up event, designed to assist and support student based start-up companies and reward them for solid business model identification and close customer contact. A distinguished panel of entrepreneurs, angel investors, venture capitalists and C-Level executives will judge their pitches and critical elements of the start-ups LeanModel. The participants will have opportunities to compete for financial prizes and in kind awards. This year, this inaugural event will be held on March 14-15, 2013 on the SDSU campus. Mr. Larry Petersen graduated from SDSU with the Master's degree in Marketing. He is a Founder and President of LP Marketing, a sales and marketing organization in California for major consumer and professional electronics manufacturers. 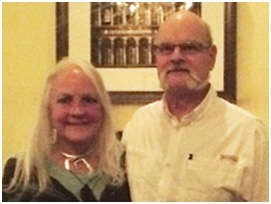 Mr. Petersen is also a founder of Bayview Distributing and Bayview Development. Mr. Petersen and his wife, Madeline, have been supporting and nurturing the Center's young entrepreneurs throughout the years. With their joint effort, the Lavin Entrepreneurship Center will be able to give the next generation of entrepreneurs not only the knowledge, but also a financial boost.